Who is the Auvê girl? When I’d just started experimenting with skincare, I thought that moisturizing is a beauty must. I put tons of creams and lotions on my body to keep my skin hydrated, only to find out later that my skin still developed dry patches. Lately, I’ve figured out that if I add just one extra layer to my skincare routine, everything is different. These days, I try to use oils as much as possible as these are great moisture-preserving products that come in as natural a form as can be. While I love mono-ingredient oils for their straight-to-the-point features, I prefer products that combine a few powerful oils together for extended effectiveness. Before we delve into my favorite oils list, let me debunk some myths about facial oils. For starters, don’t be afraid to use oils if you have oily skin. I have an oily T-zone and I’ve noticed that ever since I introduced oils into my routine, my skin seems to produce less oil. In contrast, your skin will get oilier if you use too many drying products. Also, some girls are afraid that facial oils are too heavy and don’t absorb well. I agree that sometimes this might be true, especially if we’re talking about some of the brands that you can find at the health store. However, it takes just a bit of your time to research which products are lightweight and absorb more easily so you can start getting all the benefits of facial oils. I received this product for testing purposes during September’s NYFW party and it has become my go-to solution for days when my skin is very irritated or just doesn’t feel good. Usually, I apply a handful of this elixir so my skin looks very shiny and then go straight to bed. At night time, some of the oil gets on my hair too, which is totally fine as the product is beneficial for my hair too. Next thing I know is that I wake up with a much fresher skin that has no signs of redness. 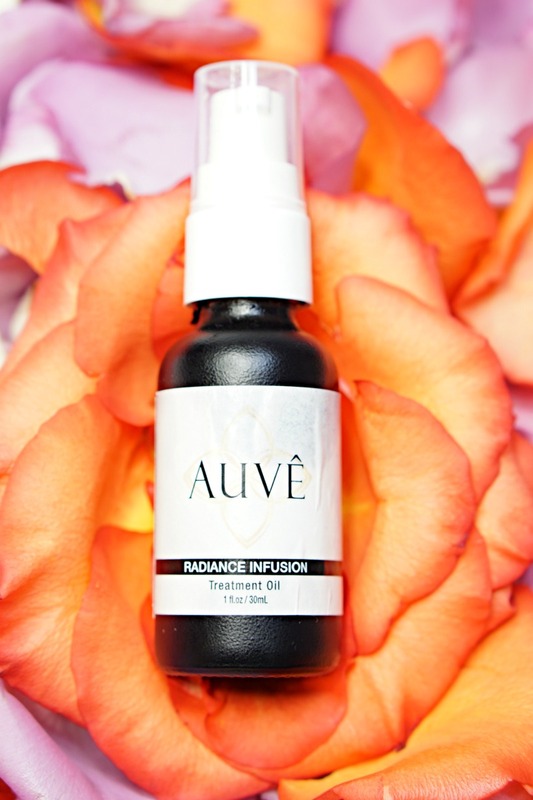 When I explored how effectively this botanical elixir combats the redness, it became my go-to product for those days when I have a photo shoot. If I am working with a makeup artist, they like to experiment with different foundations and concealers that don’t always work for my skin, and I use my AMG Naturally elixir to bring my skin back to normal after using so many potential irritants. In the mix: Moringa oil, Sacha Inchi oil, Essential oil blend of Lavender, Rose, Eucalyptus and Ylang Ylang. Price point: $50 for 1 fl.oz. How long it lasts: Very long! I’ve used it very often since September and it’s just close to getting empty now. Ever since I received a sample of this oil, it’s become my favorite oil to remove eye makeup with. It smells so delicious and so deeply hydrates my skin that I feel deeply connected (and addicted!) to it. Usually, I’ll wash my face with a mild cleanser while taking a shower (I am currently using this cleanser at night) and then put a few drops of BUTTERelixir oil on a cotton pad to remove the leftovers of eye makeup. This light and easily absorbed oil not only cleans even the most sturdy makeup residue but also deeply moisturizes under the eye area. In fact, ever since I started using this oil, I don’t feel the need to apply any eye cream afterwards! In the mix: Apricot oil, Rosehip oil, Argan oil, Rose. Price point: $48 for 1 fl.oz. How long it lasts: It smells so good that you’ll most likely end up using it too often and finish it quickly! I’ve used this hair product ever since my hair makeover by Aveda (it was gifted to me by the brand) and my hair couldn’t be happier! Usually, I apply a few drops of this oil on the ends of my hair right before going to bed or hitting the gym. As a result, my previously damaged hair looks so much silkier and shinier (look at this and this photo as an example of before/after using this product). I feel like this product makes all the difference to my hair. I can’t recommend it enough. In fact, I have to admit that I love this oil mix much more than my previously beloved argan oil. It just works better for my hair! In the mix: Buriti Oil (comes from the fruit of the buriti palm tree, known as the Tree of Life). Price point: $29 for 1 fl.oz. How long it lasts: You need just a few drops, so one bottle will last you forever! I received this product for testing purposes a few months ago, but I’ve never used it as prescribed. Instead of applying it at night, I used it as my go-to daily moisturizing oil and I really noticed the difference in the quality of my skin. I guess the results were impressive thanks to the mix of antioxidant oils that include grapeseed and sunflower oils. Or perhaps it’s also related to the fact that this oil helps to “seal” the rest of the moisturizing products that I use on top: this moisturizer by PryaDerm and this BB Cream by ItCosmetics. Regardless of what the reason is, this is one of my staple hydrating products that I continue to use daily. In the mix: Bootlace Bark Extract (comes from Guyana-native Bootlace Tree), Sunflower Oil, Grapeseed Oil, and Apricot Seed Oil. Price point: $59 for 1 fl.oz. How long it lasts: All you need is just one pump per usage so I believe one bottle will last you a few months. I wish I could tell you that I’m completely blemish-free, but it’s simply not the case. I do break out at certain stages of my cycle and I finally figured out that most of the traditional spot treatments don’t work for me. My skin often gets irritated from benzoyl peroxide and salicylic acid, while I can’t stand the scent of pure tea tree oil. I got this blemish stick at a local pharmacy a few months ago without truly believing in it, but surprisingly, it worked for me! It does smell a bit harsh, but I think it’s one of the best natural bacteria killers that I’ve ever tried. Every time I give myself an at-home facial, I end up disinfecting my skin with this product. In the mix: Lemon peel oil, calendula flower extract, fennel fruit oil, and tea tree leaf oil (it doesn’t smell like tea tree oil though!). Price point: $6.79 for 0.26 fl.oz. How long it lasts: Very long! However, I recommend replacing it every few months: I’m concerned that bacteria might get into the bottle, since you put the bottle directly on your face. I wish I used this product more often as it really helps to bring my hands to a more presentable condition. Made out of cottonseed and soybean oils, this product by my favorite nail polish brand tremendously helps if you have nails that break easily. In fact, this is one of the products that helped me to recover my nails after I had acrylic nails a few years ago. Usually, I apply a few drops before applying a hand lotion at night for a deep nourishing and restoration. You can also use it a few minutes before washing your hands for added hydration. In the mix: Cottonseed Oil, Soy Bean Oil, and a few unnatural ingredients such as propylparaben (hmm, I might need to pick another nail oil to love!). Price point: $8.50 for 0.35 fl.oz. How long it lasts: I can’t even recall when I purchased this one bottle as it lasts forever! I’ve used this body oil forever and it’s my absolute favorite scent of all time! I apply it as a moisturizer after taking a shower, I use it as a massage oil when I treat Ben to a backrub, I put a few drops of the oil on my legs when I have photos taken so my skin looks polished… You’ve got it: I use this oil for anything and everything and swear by it! If you’re not familiar with the brand, I also recommend trying their body scrub that comes in the same scent. It makes your skin super smooth and smells absolutely amazing! In the mix: Almond seed, Avocado, Wheat germ, Grape seed, Borage seed and Sunflower oils. Price point: $20 for 3.3 fl.oz. How long it lasts: Considering how often I use it, I am always surprised at how long it actually takes me to finish the bottle! In addition to the oils mentioned in this post, I also love applying organic coconut oil or raw shea butter oil on different parts of my body that require additional moisturizing. 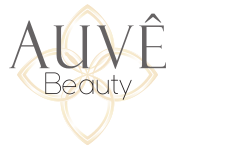 Auvê Beauty empowers women and men with timeless beauty and lifestyle rituals, modernized for today. Our products include skincare, consumables, and soon color cosmetics - all are multi-taskers that fit seamlessly into an on-the-go life. Our mission is to provide you with healthy, positive lifestyle rituals to enhance your beauty, from the inside out.